February | 2013 | Richard M. Hicks Consulting, Inc.
With the recent release of Service Pack 3 (SP3) for Microsoft Forefront Unified Access Gateway (UAG) 2010, Microsoft has published a list of features in UAG SP3 that have been deprecated. To be clear, this does not mean these features cease to function after you install SP3 on UAG! It is simply meant to give network engineers and security administrators an idea about what features are likely to be removed from future releases of Forefront UAG. Some of the deprecated features should come as no surprise. 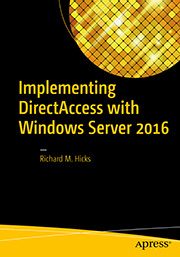 For example, DirectAccess support in Forefront UAG is now deprecated in favor of DirectAccess in Windows Server 2012. Also, features such as Secure Sockets Tunneling Protocol (SSTP) for client-based remote access are better handled using the remote access role in Windows Server 2012. Other deprecated features may present more of a challenge if you’ve been relying on them to provide secure remote access to applications, such as the deprecation of support for some authentication repositories (e.g. Novell Directory, Notes Directory, TACACS) or the Java-based Session Cleanup tool. For a complete list of deprecated features in Forefront UAG SP3, click here. Recently I wrote about the fact that the Microsoft Surface Pro is not supported as a DirectAccess client, because it ships with Windows 8 Professional pre-installed. Only Windows 8 Enterprise (and Windows 7 Enterprise and Ultimate) are supported for DirectAccess. However, that doesn’t mean that the Surface Pro will never support DirectAccess. I simply meant to state that the Surface Pro didn’t support DirectAccess out-of-the-box. That said, using your Surface Pro with DirectAccess will require installing Windows 8 Enterprise edition. Thankfully my good friend Kurt Shintaku documented in detail the steps required to accomplish this. Once you’ve completed these steps you should be able to join your Surface Pro to a domain and enable it as a DirectAccess client just like any other Windows 8 Enterprise device. Have fun! Update: Read my post on how to install Windows 8 Enterprise and configure DirectAccess on the Microsoft Surface Pro here. Support for Internet Explorer 10 on Windows 8 – Full support is provided only for Internet Explorer 10 in desktop mode. The modern UI version of Internet Explorer 10 does not provide support for browser add-ons. If a user accesses the Forefront UAG 2010 portal and the trunk is configured to install and launch the UAG client components, the user will receive a message indicating that the site requires add-ons which will require the desktop version of Internet Explorer 10. You can download SP3 for Forefront UAG 2010 here. After installation the Forefront UAG 2010 build number will be 4.0.3206.10100. This month Microsoft released an important hotfix to address a DirectAccess connectivity issue for Windows 7 clients connecting to a Windows Server 2012 DirectAccess Server. The hotfix specifically resolves an issue where Windows 7 clients face a very long delay reestablishing a DirectAccess session using the IP-HTTPS IPv6 transition protocol after recently disconnecting from a VPN session. In this scenario, Windows 7 DirectAccess clients may take as long as 15 minutes to automatically reestablish a DirectAccess session using IP-HTTPS. During this time the IP-HTTPS adapter state is displayed as disconnected. Refer to Microsoft KB 2796313 more information and to download the hotfix. So, if you want to take advantage of the IP-HTTPS performance improvements in Windows Server 2012 DirectAccess, be sure to use Windows 8 clients! Update: Recently with the help of the folks at F5, I developed a solution to emulate Windows 8 client behavior for Windows 7 DirectAccess clients using the F5 BIG-IP Local Traffic Manager (LTM). Using this technique allows you to *effectively* offload SSL for Windows 7 DirectAccess clients. Fore more details click here. Join me in Belgium for Microsoft TechDays 2013! The event takes place at Kinepolis in Antwerp on March 5-6-7. I will be presenting a session on DirectAccess in Windows Server 2012 on March 7. The event will include sessions from many top speakers including Marcus Murray, Paula Januskiewicz, Tom Decaluwe, and more. There will be separate tracks for IT professionals and developers, so there will be something of interest to everyone. In addition, all attendees will receive a free 3 month TechNet subscription. Register today and don’t miss out on this amazing event! With the recent release of the Microsoft Surface Pro, many people have been asking me about DirectAccess connectivity for these devices. One of the requirements for DirectAccess connectivity is that the device be joined to a domain, a capability that the Surface RT lacked. Although the Surface Pro runs the full version of Windows 8, it is Windows 8 Professional. 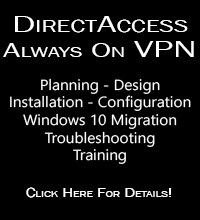 Sadly, DirectAccess connectivity is only supported for Windows 8 Enterprise edition clients, along with Windows 7 Enterprise and Ultimate editions. So, if you have just purchased a new Microsoft Surface Pro and are hoping to configure it as a DirectAccess client, I’m afraid you’re out of luck. In my opinion, the lack of DirectAccess support for Windows 8 and Windows 7 Professional is a serious flaw, especially when you consider all of the great use cases you can imagine when you have a full featured tablet with always-on, secure remote network connectivity. It’s a shame, really. Let’s hope this changes in the future! The December 2012 collection of Windows updates included a number of changes that may adversely affect connectivity for DirectAccess clients. The December updates included changes to the Windows Root Certificate store and a hotfix for the IP Helper Service. Either or both of these updates could potentially prevent DirectAccess clients from connecting via the IPHTTPS IPv6 transition protocol. For more information read this post from the Forefront UAG Product Team. 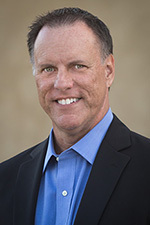 Recently I had the opportunity to chat with fellow Microsoft Most Valuable Professional (MVP) Denny Cherry on his People Talking Tech podcast. We had a great time conversing about DirectAccess in Windows Server 2012. Give it a listen!